On September 26, at the Federal Communications Commission’s open meeting, commissioners will vote on an order that will limit the roles of local policymakers in the deployment of fifth generation (5G) wireless infrastructure. So one might ask, why doesn’t my community get a say in this? Clarify the scope and meaning of the effective prohibition standard as they apply to state and local regulation of wireless infrastructure deployment. Conclude that federal law limits state and local governments to charging fees that are no greater than a reasonable approximation of their costs for processing applications and for managing deployments in the rights-of-way. Identify specific fee levels for small wireless facility deployments that presumably comply with the relevant standard. Provide guidance on certain state and local non-fee requirements, including aesthetic and undergrounding requirements. Establish two new shot clocks for small wireless facilities (60 days for collocation on preexisting structures and 90 days for new builds) and codify the existing 90 and 150 day shot clocks for non-small wireless facility deployments that were established in a 2009 FCC ruling. Make clear that all state and local government authorizations necessary for the deployment of personal wireless service infrastructure are subject to those shot clocks. Conclude that a failure to act within the new small wireless facility shot clock constitutes a presumptive prohibition on the provision of services. Accordingly, the FCC would expect local governments to provide all required authorizations without further delay. The wireless industry was thrilled with the plan which is being spearheaded by FCC Commissioner Brendon Carr. For them, having the FCC limit how municipalities can manage wireless infrastructure results in big savings. According to an economic analysis funded by Corning, a company with a financial interest in small-cell deployment, Carr’s plan will save $2 billion in unnecessary fees, stimulate $2.5 billion in additional small cell deployments, and create more than 27,000 jobs. In some areas, providers face daunting challenges as they seek to deploy the small cells that will be the backbone of our nation's 5G future. Many policymakers at the state and local level have responded to these challenges with helpful reforms, and local officials will continue to play a pivotal role in managing public rights-of-way and protecting legitimate local interests. In order to be competitive on a global scale, the U.S. must adopt national policies that promote the deployment of next-generation networks and services that offer huge promise to consumers, our economy, and our society. Commissioner Carr’s [proposal] balances both of these important interests. It's a bright day for our nation's 5G future. Focusing on state and local government fees and processes is a distraction from the real obstacles to accelerated and ubiquitous deployment of next-generation mobile services. Despite the FCC rhetoric, the item is unlikely to have any material impact on whether the United States leads the world in 5G deployment. Local governments have a strong recent track record of endeavoring to enable and facilitate broadband deployment. The FCC’s draft order infantilizes carriers by preempting state and local government, presumably on the theory that carriers cannot protect themselves in negotiations with states and localities. Despite the FCC’s rhetoric, the proposal will likely exacerbate, rather than alleviate, the digital divide. The FCC’s draft order is based on a fallacy that no credible investor would adopt and no credible economist endorse: that reducing or eliminating costs for small cell mounting on public property in lucrative areas of the country (thus reducing carriers’ operating costs), will lead to increased capital expenditures in less lucrative areas– thus supposedly making investment more attractive in rural areas. The draft order presents a framework in which industry gets all the benefits (reduced fees to access state and local property) with no obligations to reinvest the resulting profits in rural broadband—even though the purported rationale for the reduced fees is that they will lead to new investment. But many municipal groups disagree, saying the plan amounts to federal overreach that could harm public safety and local governments’ ability to collect vital revenue. If Carr’s plan is enacted unchanged, the U.S. Conference of Mayors will sue to overturn it, CEO Tom Cochran warned. The National League of Cities is also opposed and “absolutely” expects litigation to follow, said Angelina Panettieri, the league’s principal associate on telecom. Debbie Goldman, the Communications Workers of America’s representative on the FCC’s Broadband Deployment Advisory Committee’s Model Code for Municipalities Working Group, filed a letter on September 18 to express concern with the FCC’s draft order. “The draft order is inconsistent with recommendations from the Model Code for Municipalities Working Group and is an overreach of federal authority. The draft order restricts the power and authority of local governments, curbs the efforts of local governments to close the digital divide and undercuts the BDAC process by ignoring the views of critical stakeholders,” she wrote. Under the guise of promising shiny new technology and closing the digital divide, the FCC is proposing a change in rules that is a blatant effort to strengthen the hand of wireless carriers in negotiations with local governments over small cell deployment and to limit the ability of local governments to negotiate in the public interest. This is a huge tradeoff -- and one happening without much public debate. 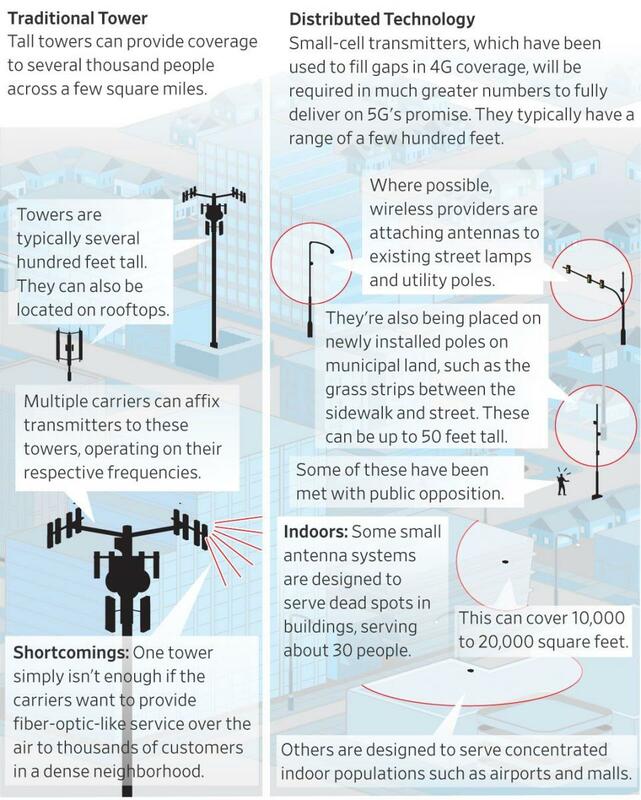 The small ray of light here is that the FCC is leaving local governments with some power to enact reasonable regulations governing small cell deployments. With the right approach and partner, local governments may be able to address citizens' concerns. But that means local governments need to start planning yesterday on zoning, application processing cost recovery, antenna design, location and spacing, additional pole and equipment aesthetic requirements, and other issues.